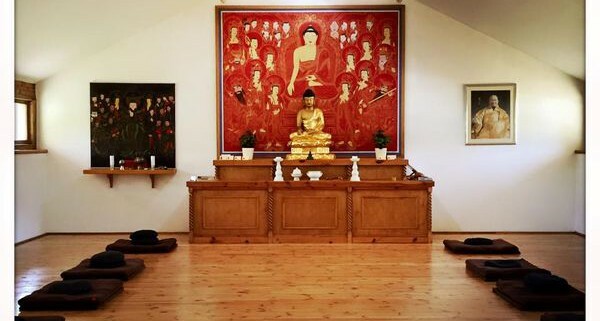 We are pleased to invite you to the Winter Kyol Che 2017 at Wu Bong Sa temple, Warsaw Zen Center, led by teachers of the Kwan Um School of Zen. – You can enter Kyol Che each week on Saturday between 17:30 and 18:00 and exit on consecutive Saturday until 17:00. Please make sure you read the Kyolche rules attached here. KUSZ/E Council prepared European Stipends (up to 50% discount) for people, who wish to sit 2 weeks! If you are facing financial challenges and you would like to use or support our Kyolche Discount Fund, here are the bank details: http://www.zen.pl/1/contact-and-account/ or contact us at: kwanum@zen.pl. We also encourage you to pay more than the regular price. Thank you! Please arrive between 17:30 and 18:00. We ask all participants to bring most important items: sleeping bag, towels, warm socks, which we use in the Dharma Room, loose trousers for sitting and clothing for walking in the forrest, personal medicine set in case you catch cold and valid medical insurance.